The Adept Response will elevate the performance of your audio/video system to new heights like no other power conditioner. 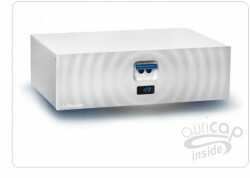 In addition to superior power protection, the Adept Response delivers the ultimate audio/video experience. Include Au24 Power Cord. The Adept Response will elevate the performance of your audio/video system to new heights like no other power conditioner. 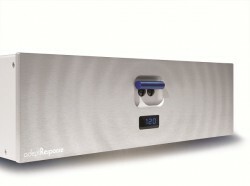 In addition to superior power protection, the Adept Response delivers the ultimate audio/video experience. The Adept Responce will elevate the performance of your audio/video system to new heights like no other conditioner. 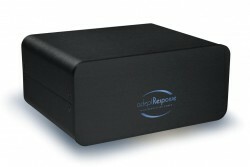 In addition to superior power protection, the Adept Responce delivers the ultimate audio/video experience. Include Au24 Power Cord. 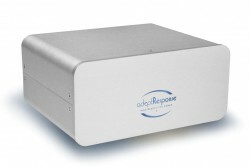 The Adept Responce will elevate the performance of your audio/video system to new heights like no other conditioner. 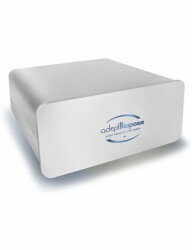 In addition to superior power protection, the Adept Responce delivers the ultimate audio/video experience. 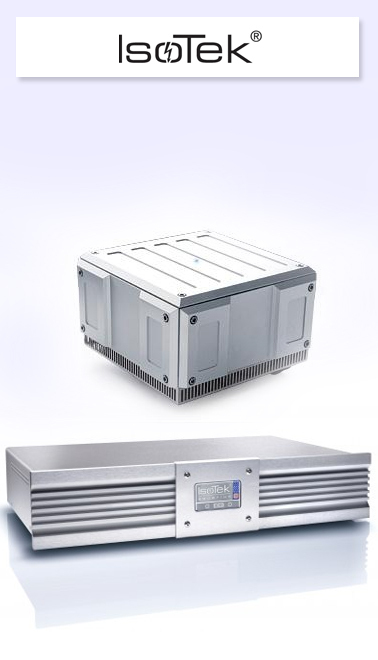 The aR2p power conditioner is exceedingly unique and versa-tile; designed for single component application like mono block amplifier, receiver, video projectors and video displays. 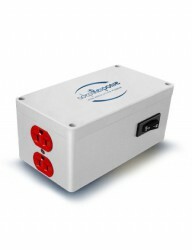 The aR2p plugs directly into a wall or ceiling power outlet (no power cord required). 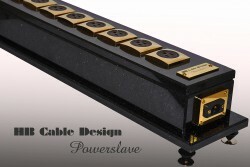 The Powerslave Star Galaxy is encased in black, gold-flecked marble (Galaxy model) and represents a revolutionary designed system of power distribution stations, each of which continuously generates an identical - and above all consistent - energy supply, meaning they service the low resistance outlets with no surges or drops in power. 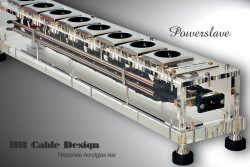 As the name implies the PowerSlave Acrylic is made of thick clear acrylic glass and has eight individual receptacles. Being clear you can, of course, see what’s inside. Like I said in the first review, these are the most impressive receptacles I have seen. Looking inside, there is no doubt that HB Cable Design has incredible build quality, and attention to detail in building this product. The optimization of the electric signal, and thus the creation of a strong energy potential that serves as the foundation for rich sound transmission - that is the primary goal of an optimal energy supply. The Horizon PowerStar power strip ensures that a clean, distortion-free and stable connection to the power supply is maintained at all times.